Suncoast Health Brands' entire product line offers exclusive fusions of naturally sourced raw materials that support a healthy life. Suncoast Health Brands maintains full control over the entire product manufacturing process. Every product is formulated and produced in an FDA registered plant which operates in compliance with current good manufacturing practices (cGMP), the guidelines mandated by the Food and Drug Administration. Every aspect of Suncoast Health Brands' products is tested -- from raw materials to finished products. These standards are tracked in batch production records to ensure consumer safety standards are met and exceeded. 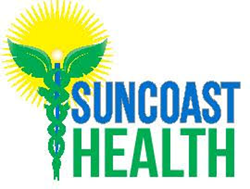 All Suncoast Health Brands' products are proudly manufactured in the Tampa Bay Area. Suncoast Health Brands product lines include ProCharge Liquid Protein, Suncoast Health Supplements, Suncoast Pet Health and Nu Glacé Skin Care. For more information, visit https://www.suncoasthealthbrands.com/. Kyowa Hakko USA is the North & South American office for Kyowa Hakko Bio Co. Ltd., an international health ingredients manufacturer and world leader in the development, manufacturing and marketing of pharmaceuticals, nutraceuticals and food products. Kyowa is the maker of branded ingredients including Cognizin® Citicoline, Lumistor® L-Hydroxyproline, Pantesin® Pantethine, Setria® Glutathione, as well as Sustamine® L-Alanyl-L-Glutamine. For more information visit http://www.kyowa-usa.com.